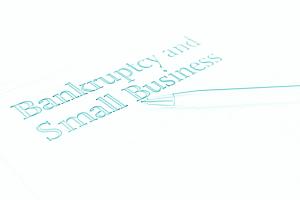 A downturn in business or a series of misadventures could result in your inability to meet your commitments in a timely manner with the result that a creditor may initiate bankruptcy proceedings against you. If that has happened to you, it is important to provide us with all the relevant information so that we can advise you on the best course of action. Ignoring repeated requests for payment or a winding up notice could result in a court issuing a bankruptcy notice against you, or make it more difficult to stop the action once it has started. In some cases, voluntary bankruptcy or insolvency may be the best way for you to move forward, but you won’t know that unless you talk to one of our experienced partners, who can evaluate the facts and advise you accordingly. Being made a Bankrupt may have consequences that are not acceptable to you, and you may not have considered those and the options available to you initially. Whether you consider bankruptcy a viable option or wish to have a bankruptcy petition put aside, Paul Bard and Jeffrey Chard have considerable expertise that could assist you.